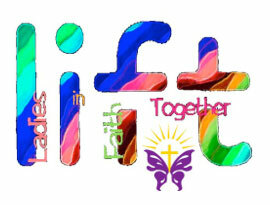 For ladies of Living Word Lutheran Church to gather together to share and grow in their faith and in God’s love. A women’s ministry that is committed to providing opportunities for equipping and encouraging all women to grow toward maturity in Jesus Christ through worship, study, service and fellowship. Coming Together in Christ - A place for women to come together in a safe Christ centered environment to see to know and study God's Word. Will equip women to reach out with Christ's lvoe to others outside the gorup through service opportunities. Lifting Each Other Up- A place fro women to come together in Christian fellowship lifting each other up as sisters in Christ. Women's Bible Study (March 21- May 23 ) Thursday Evenings at 6:45. Please join us the 2nd Saturday of every month from 10 am to 2 pm at the church. Bring a sack lunch. 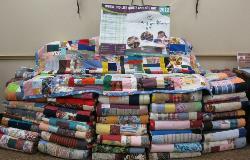 Carina Dabney will guide us as we make special quilts for Lutheran World Relieft.